Endorfin. 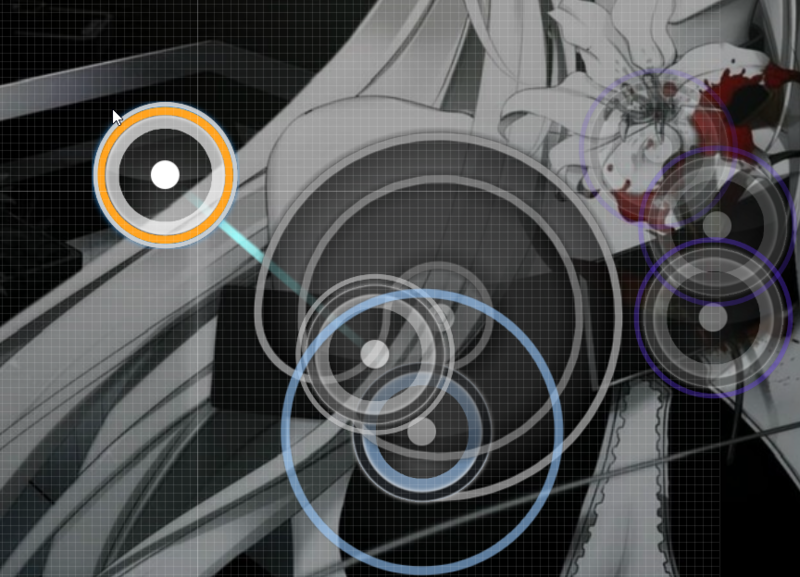 - Luminous Rage · forums · community | osu! Last edited by Kibbleru November 4, 2017 at 7:39:55 AM GMT , edited 94 times in total. 01:18:892 (1,2,3) - 01:20:232 (1,2,3) - 1/2 rhythm and 3/2 rhythm . their ds too similar imo . give some tips ? 03:03:627 (2,3,3) - make them like this? 00:44:702 (1,2) - i think the sound is same as 00:39:339 (2) - but they are notes ? The song quality is a little high,try to slim its size. 02:58:180 (3) -Because here’s a long rhythm drop ,it may be better to put a 2-beat-slider here instead of just a little click. 03:09:576 (3) - The note after it needs a bigger distance to emphasize the blast, and the reverse beat doesn’t have a sound to support it. 00:55:763 (4,5) -Since it’s following the vocal, this two sliders may be better to follow the vocal too,not the drum beat. 01:31:029 (3) - Make this a 1/2 slider, like 01:31:532 (4) -. 02:11:923 (7,8) -I think these two notes need a larger space,or it may confuse players with a 1/2 beat. 01:51:811 (2) - try not touch hp bar? 00:32:467 (1) - remove nc? 00:31:797 (1,1) - tiny overlap looks not quite good. avoid it? 02:58:850 (6,7) - stack error? 00:27:272 (1,1) - beats here are quite similar, why you setting one 1.2xsv and another 1.5xsv? 00:11:853 (3,1) - swap nc? Buzz sliders should have appropriate delay before the next note. 1/8 and 1/16 sliders should be followed by a 1/4 gap, whereas 1/12 sliders should be followed by a 1/6 gap. This ensures that the hit-window between hit objects is playable. 00:06:657 (2,3) - Feel like the spacing between these two should be bigger because of the intensity of the sound on 00:06:825 and its inside a measure so it feels like that change would be possible. I feel like the way it is now contrasts the build up that comes right after it, but still could do with a spacing increase. i guess. 00:25:093 (5) - You could place this somewhere else other than overlapping with 00:24:255 (2) - to emphasize the vocal there. 00:47:886 (4) - This doesn't represent the vocal or anything correctly. Suggested change: https://i.imgur.com/h8SZBcm.jpg Where squiggly boi is slow sv and the 1/2 after it is fast then equalizing. 01:24:325 (1,2) - This spacing is fine btw cuz offbeat slider. 01:57:677 (4) - Same thing here. doesnt represent it correctly imo the other half of the slider after it repeats is sort of useless. Especially when there is no DING at 01:58:012 - anymore. 02:32:035 (3,4) - This sound doesnt feel like it should should stop movement at the sliderend because the sound isnt really stopping like comparing to earlier usage of this with the vocal emphasis. 03:21:979 (2) - I don't understand personally why create this concept. It just feels cluttered and bad playability. 03:30:861 (3) - This should be extended. 00:15:540 (2) - Completely unintuitive and confusing to play. 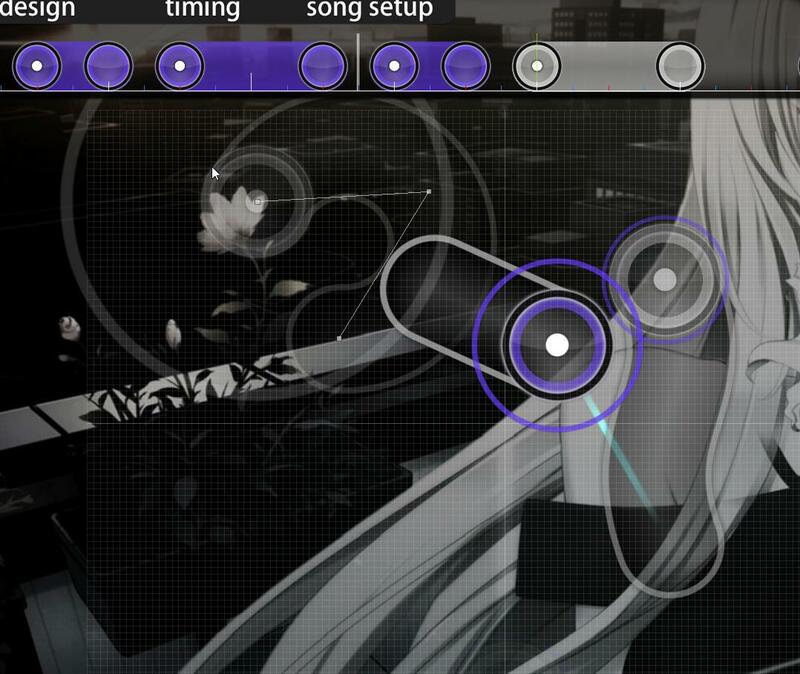 Suggested change: https://i.imgur.com/eCaksly.png if the problem here is the circle at the end i can always remove that owo ill just change SV instead of slider lengths. Really nice and clean map especially in the kiais, good luck with the set!